Cucumber, celery and mint are some of the best vegetables/herbs you can eat for radiant, healthy, glowing skin. So…why not make a smoothie out of it? 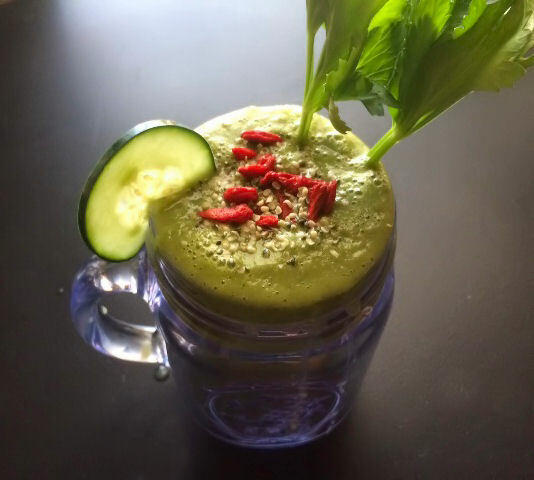 I call this my glowing skin smoothie! Put all the ingredients except the celery into a high power blender. 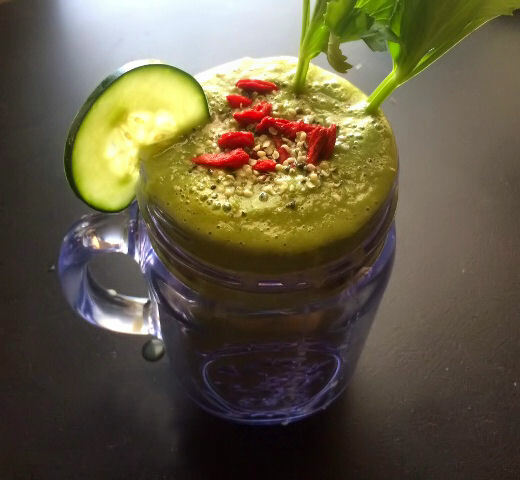 Once everything has been fully blended, feed the celery into the top of the blender and let it blend one at a time. Add more water if you don’t want your smoothie to be so thick. Once everything is blended, take it out, pour into a cup and drink!